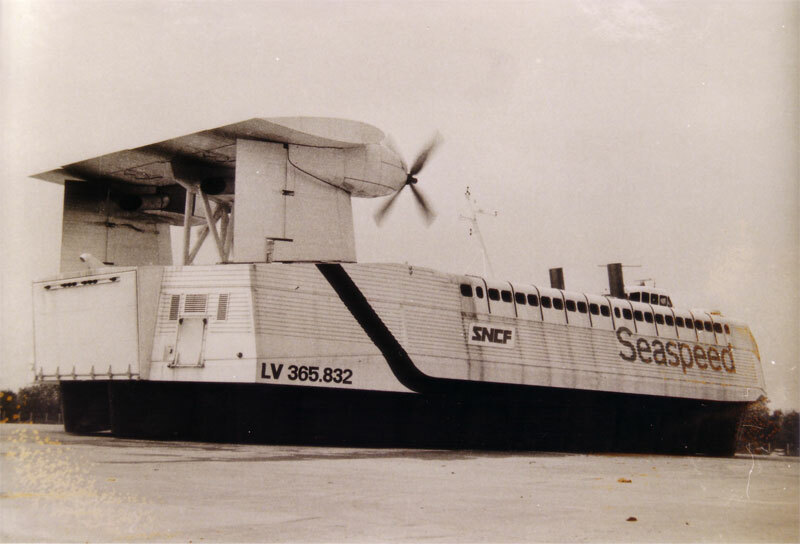 SEDAM type N500 naviplane Hovercraft built in 1976 by Sedam, Pauillac, France (Yard No 1) for Societe des Nationale des Chemins de fer Frances (SNCF), France. 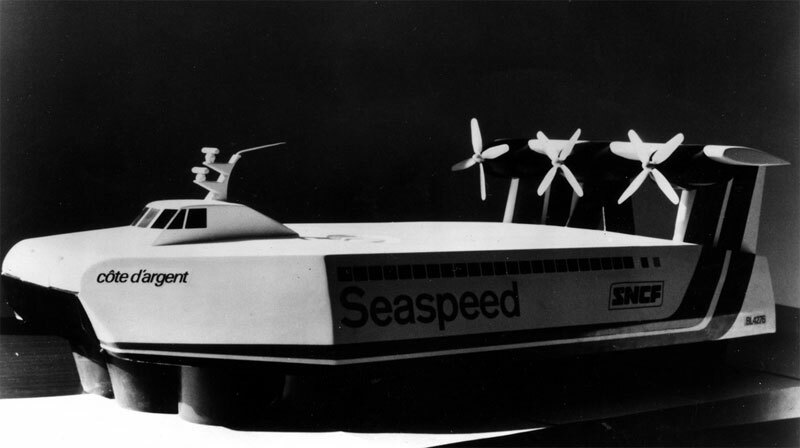 Launched November 15th 1976. 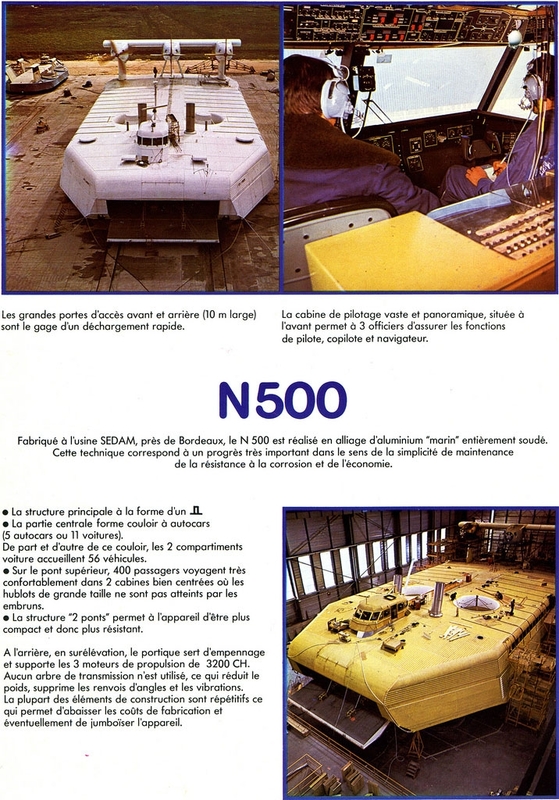 Two N500 were built nearly simultaneously at the yard of Sedam in Pauillac, France. 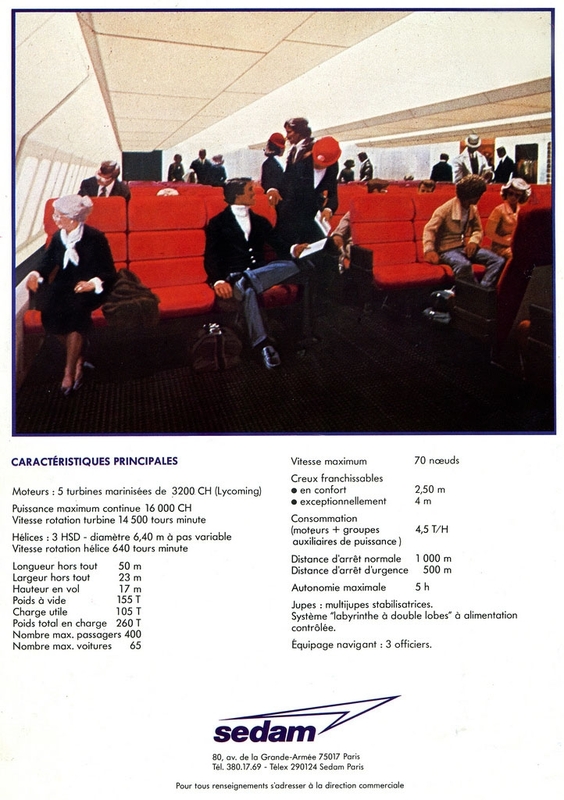 May 15th 1977: Due to enter service. 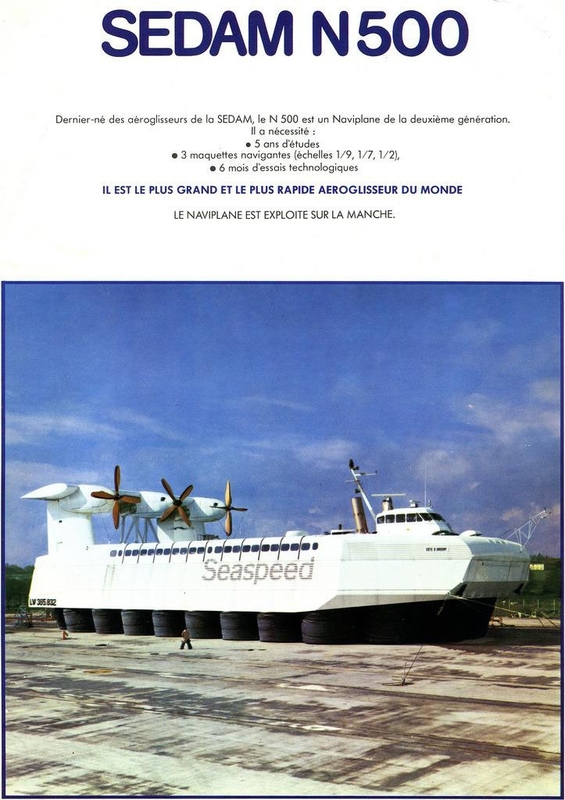 April 19th 1977: First trial on the Gironde and was out for two hours, running at 40-45 knot (74-83 km/h). 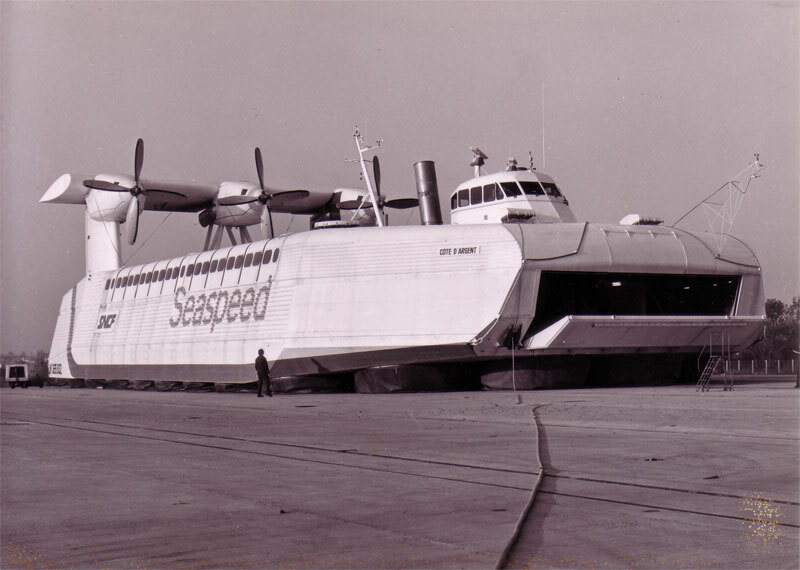 Unusually it was a twin deck craft with the passenger seating area above the car deck giving it extra headroom for Continental coaches and freight. 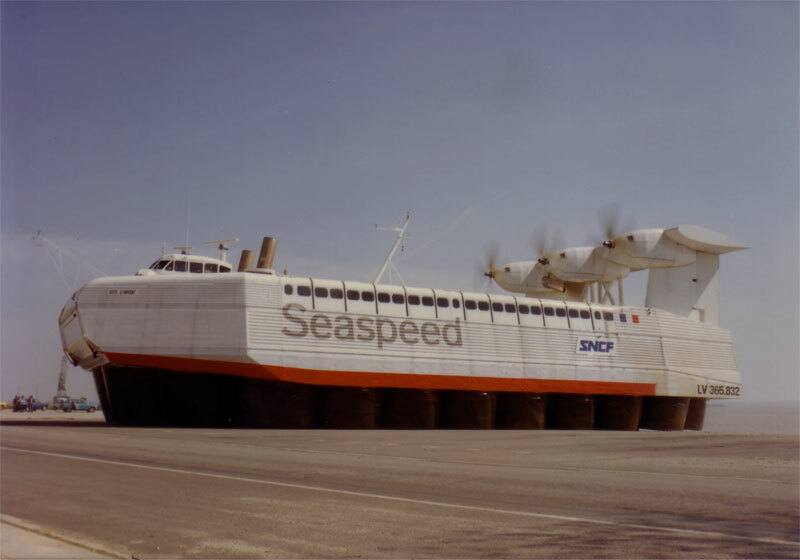 The craft was also more fuel efficient than its British counterparts. 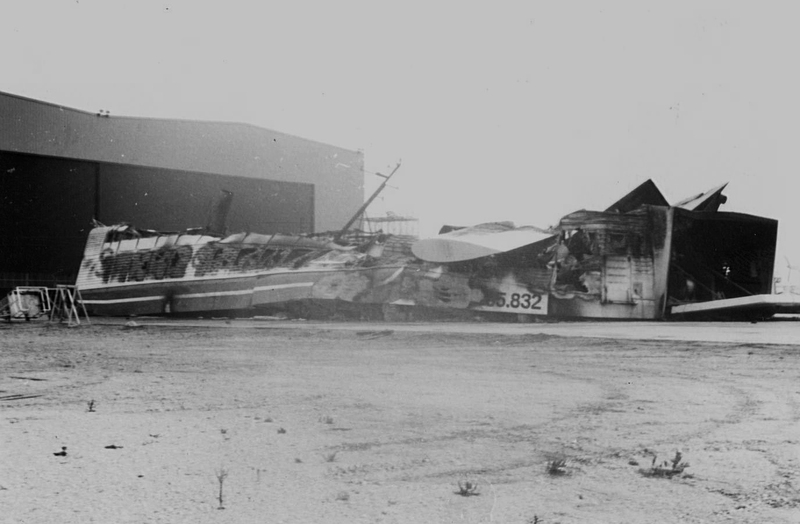 May 3rd 1977: As the craft was lifted on jacks and mechanics worked on the skirts, an exploding light bulb set fire to a glue bucket. 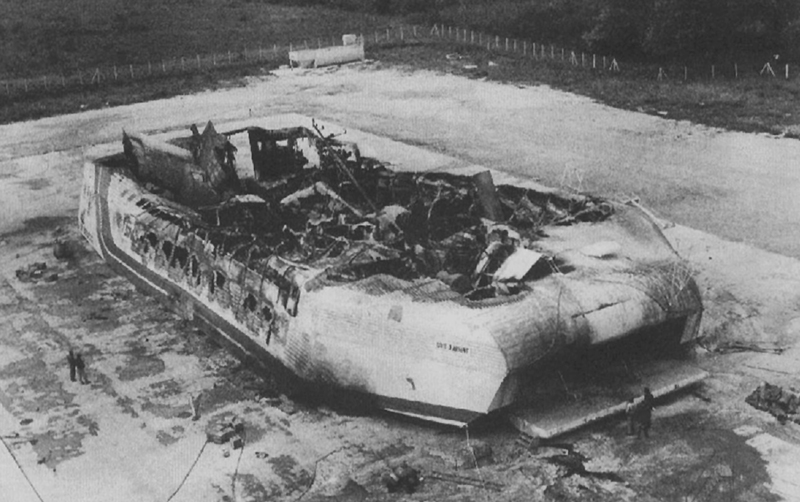 Fire took hold underneath and the craft was completely destroyed. All information is believed to be correct and no responsibility is accepted for any errors or omissions found. All items included in this article are subject to © copyright. 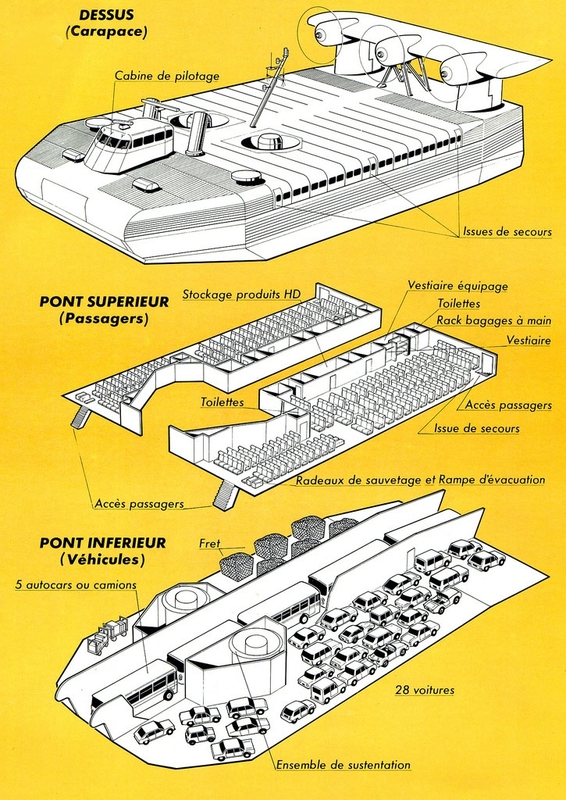 We would like to take this opportunity of thanking: Nicolas Levy, Paul Wells (www.doverpast.co.uk) and Stéphane Poulain for their assistance in compiling this feature.